Our intimate bridal Boudoir is run by appointment, and offers a carefully-curated selection of wedding gowns ranging from $1400 – $6000. Our collection also includes a unique offering of accessories, veils, and headpieces. 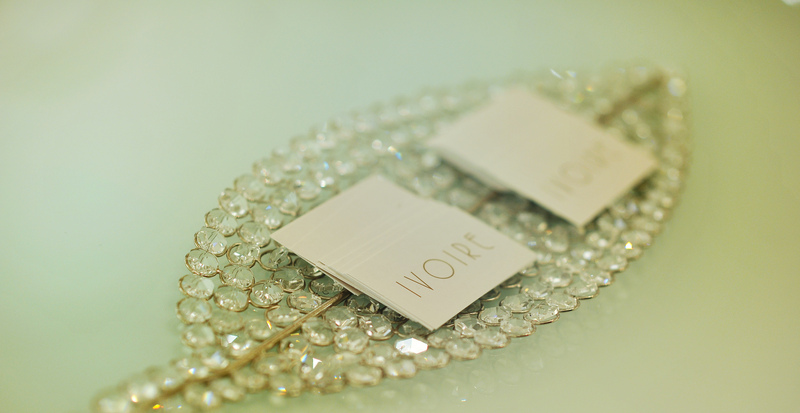 Ivoire is for the modern bride who cherishes individual style and timeless glamour. What sets us apart is our uncompromising dedication to service, attention to detail and our exquisite selection of wedding dresses exclusive to Ivoire. We do this with sophistication wrapped around a little urban grit and glam in the hippest neighbourhood, Montréal’s Mile-End. Thanks to the combined talents of its dynamic founders, Rina Di Battista and Giovanna De Capua, Ivoire Collection is a place like no other. The boudoir carries the finest exclusive wedding dresses, but it is the human touch of both founders that promises to elevate this concept well above the average.